Last month I attended a SPACE10 forum led by New York-based design duo Anton and Irene on the resurgence of co-living. They suggest the financial squeeze of modern life combined with an upsurge in digital nomads is bringing the ‘sharing economy’ into the home. As 40% of the urban areas required by 2030 are not yet built—which means a city the size of New York needs to be constructed globally every month—it is crucial architects stay up-to-date with contemporary living patterns to respond appropriately to shifts in housing requirements. My last Archinect feature of the year will provide a short overview of the history and challenges that co-living has previously faced, discuss trends emerging from the ‘ONE SHARED HOUSE 2030‘ survey and speak to Dorte Mandrup, architect of the Lang Eng Co-housing Community, on how to approach the challenge of designing successful spaces for co-living. ‘Co-living’, an umbrella term for different types of ‘co-housing’ setups, can loosely be defined as a home where two or more people live together who are not related. While ‘co-housing’ is an intentional community created and run by residents, ‘co-living’ may also encompass shared accommodation initiated by an external agent, such as a developer or entrepreneur. Aside from the investor rush to fuel co-living startups, concrete figures on the international co-living boom are not yet available. However, early indicators such as the UN now offering support to co-living initiatives within their sustainable development goals and last year’s prestigious Harvard Wheelwright architecture prize being awarded to a project innovating in co-living, suggest it is gaining traction. While it is indisputable that young people strapped for cash have always had roommates—think Bret and Jemaine from Flight of the Conchords—co-living is now simultaneously becoming part of everyday urban life and billion-dollar business. I expect most people reading this who have lived in cities during their 20’s have experienced a houseshare, myself included. I rented a terrace with friends in Sheffield, moved into a Danish kollegium when I started my masters in Copenhagen and had a stint in a family attic while working in London. But rather than remaining a student necessity, increasing numbers of families and professionals are now opting to co-share. This also reflects a surge in the rental market, which in the US has jumped from 52% of total adults in 2005 to 60% in 2013. This is perhaps unsurprising with soaring urban property prices and take-home wages barely rising across the country, a pattern which is echoed in cities worldwide. Modern co-living can be traced back to thoughts emerging from Denmark in the 1960s, which crystallized in Bodil Graae’s 1967 newspaper article ‘Children Should Have One Hundred Parents’. There was a consensus at the time that modern housing was unable to provide adequate wellbeing for occupants over their lifetimes, and that ‘bofællesskab’ (living community) should instead be the aim for future housing projects. In 1972, a group of families were inspired to create the Sættedammen co-share, realized by architects Palle Dyreborg and Theo Bjerg. The project is generally accepted to be one of the first contemporary co-shares, favoring both autonomy from powerful landlords and the Danish government. The living community approach was introduced to the States in 1989 by Kathryn McCamant and Charles Durrett in their book ‘Cohousing: A Contemporary Approach to Housing Ourselves’. Its going to happen to all of us – “Done got Old – can’t do the things I use to!” – Junior Kimbaugh – even those of us in deep denial who intend to work till we die ( most designers and architects I know do not intend to retire). Yet the existing models for later life living are pretty poor and none of the regularly offered ones are very satisfactory. This in-depth review of the options is worthwhile reading for anyone involved in design or management of the aged or making place for aging in our society. Global populations are aging—according to the UN, by 2030 the number of citizens aged 60 years or over is projected to grow by 56%, a figure which by 2050 is expected to double again, to a total of 2.1 billion seniors worldwide, skewed towards ‘greying economies’ such as those of the US and Europe. Where and how will our seniors live in the future? This month I speak to architect and KADK professor Deane Simpson, who researches shifts in the built environment which are occurring as a consequence of population aging, and Stephen Bates of award-winning firm Sergison Bates who recently completed the Housing for Older Residents project in Hampstead, London. Is it possible to move beyond stereotypes to create an architecture which is functional, healthy and beneficial for the older generation? It was a visit to St Petersburg, Florida, during the mid-1990s which first sparked Simpson’s interest in the peculiarities of elderly lifestyle communities. With a group of friends, he had stumbled into a housing district exclusively for the over 65’s which challenged their preconceptions of the modern mixed-demographic city. In a bar brimming with vivacious seniors, they felt like complete outsiders. It was an experience which inspired him to lead an architecture study group from ETH-Zurich back to Florida to research deeper into what he saw as a distinct shift in senior living which later informed his award-winning book ‘Young-Old: Urban Utopias of an Aging Society’. “A common understanding of seniors would be people with physical or mental difficulties who required care”, explains Simpson, “but my sense was that that housing and urbanism for the ‘Young-Old’ was not really being discussed. I became interested in how emphasis had shifted from care towards entertainment and leisure, and how these communities were self-segregating on an urban scale”. Old age is now widely understood to have subdivided into two separate phases of life—the ‘Young-Old’ can now expect to enjoy 20-30 years of good health prior to becoming ‘Old-Old’, when they require special care and support. Historian Peter Laslett, in his 1996 book ‘A Fresh Map of Life’, suggests this phenomenon first emerged as a consequence of the older generation becoming liberated by improvements in healthcare and lifestyle and possessing significant comparative wealth compared to other demographic groups. In the decades following 1950, there was a limited precedent for the ‘Young-Old’ in terms of societal expectations and conventions of how and where to live. The US is recognized to have pioneered early trends in retirement living as it was not tied to the need to rebuild after the Second World War, a task which preoccupied both Europe and Japan. The world’s first documented age-segregated retirement community, Sun City Arizona, built in 1954 and now home to 37,000 seniors, was the first to explore accommodation options for the emerging ‘Young-Old’ demographic. Sun City promised year-long sunshine, leisure-based social activities, companionship and fun—a far cry from the dreaded nursing home. Emergence of the ‘Young-Old’. Image: ‘After Peter Laslett, A Fresh Map of Life, 1989.’ From Young-Old. Owner-occupied retirement housing now represents 17% of the total housing stock in the US, a figure which is steadily increasing year after year. According to the Financial Times, the wealth of the ‘baby boomer’ generation has enabled age-specialist developers to bid for the first time against mainstream development firms to supply prime real-estate. In New Zealand, 12% of over 75s now live in retirement communities, a figure which has risen from 9% in 2014. Meanwhile, housing typology options for seniors have continued to diversify to a certain extent, with an emphasis on familiar styles and forms arranged into neighborhood groupings. I was interested to explore the main trends and innovations in senior housing, so I went in search of architects who are addressing the needs and desires of the older generation with a variety of contrasting approaches. Taking after the Sun City model, the retirement village is characterized by separate dwellings designed specifically for the over 55’s, separated from the rest of the city. Organizations such as the UK-based International Longevity Center warn that the global upsurge in the construction of privatized retirement villages might spell the end for the traditional care home and a state-driven model of elderly care. While most villages take a detached, suburban picket-fence type outlook to housing as seen in Sun City, others adopt a more experimental approach. One of the most extraordinary propositions I came across was that of Guedes Cruz Architects’ Alcabideche Social Complex near Lisbon, Portugal. The community of 52 cube-like dwellings, constructed from concrete and plexiglass, shade elderly residents from scorching summer sun. Unlike almost all other retirement communities I researched, this project embraces some of the harder to stomach realities of aging—when a resident sounds an alarm within the house, the entire roof of the building lights up red, a glowing distress signal which is broadcasted to the entire community. The 10,000m2 neighborhood also houses a support building and an undulating landscape of public terraces and pools which connect the dwellings. Guedes Cruz Architects’ Alcabideche Social Complex in Lisbon, Portugal. © Ricardo Oliveira Alves. This interview with a New York resident underlines the older generation are just as diverse as any other age group, not all of whom are searching for the quiet life. “Living in the city is so much better than in the country or burbs”, the 82-year old told the reporter. Some developers are responding to the need of housing seniors within the city by peppering apartment complexes within the existing urban fabric, as a preference to creating detached retirement communities. I spoke to architect Stephen Bates of renowned London-based practice Sergison Bates regarding their Housing for Older Residents project in Hampstead, north London, completed earlier this year. The residential scheme consists of 29 individual apartments with shared facilities, such as social spaces, spa and a communal garden. The community is to be supported by an in-house caretaker whose role is to facilitate both daily activities and care for resident’s needs. Ground floor plan of Housing for Elderly Residents, Hampstead, showing social spaces. Image © Sergison Bates. Bates explained that a key driver behind the design was to find an architectural typology appropriate for elderly residents with respect to the context and conservation area of the surrounding site. “We were inspired by the mansion blocks which characterize the area and used this existing urban form to mediate with the townscape of large Arts and Crafts stand alone or semi-detached villas in Hampstead”, he told me. The innovative ‘honeycomb’ plan which first drew me to the project was in part defined by the site footprint and a diagonal emphasis to allow long views across the site towards the gardens. The plan is organized into a number of ‘bedroom suites’ which group changing, bathrooms and sleeping areas together to form definable territories which allow privacy and flexibility of occupation, linked by a ‘middle room’ at the heart of each apartment. “Multi-sided rooms make it possible to have different orientations within the apartment”, describes Bates, “and allowed us to form a collection of ‘good’ rooms rather than aligning purely functional spaces one next to the other.” While offering visual interest to residents spending significant time indoors, a further aim of the design was to enable a live-in carer, visiting family members or a spouse to enjoy different degrees of privacy. We designed a plan that incorporates a series of areas that allow differentiated access, with interlocking rooms and long diagonal views across them. This creates a landscape of spaces one can move through in more than one way, so that the needs of individual residents can best be met.” Stephen Bates, Sergison Bates Architects. Portuguese practice Aires Mateus Arquitectos have taken the senior high-rise typology into a rural context for their ‘Residências assistidas em Alcácer do Sal’ (Houses for elderly people in Alcácer do Sal) project, also in Portugal. Speaking to Dezeen, they describe the scheme as a “micro-society”, “between a hotel and a hospital”. 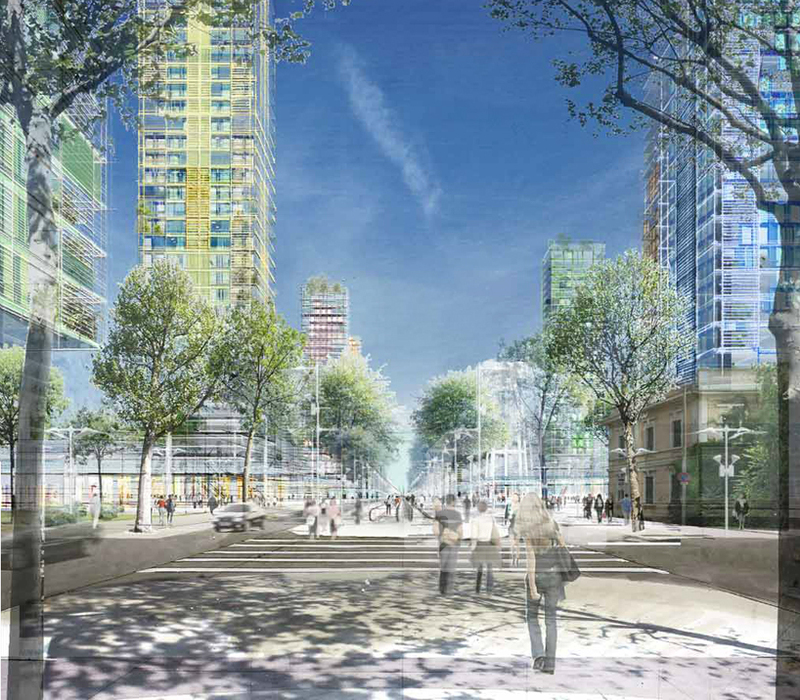 They suggest an aim of the project was to address the limited mobility of the building’s residents by forming a patchwork of gently sloping walkways which meander across the site. While the architectural intervention is striking and sculptural due to the way it slices into the topography, it is unclear what access the elderly residents have to medical facilities or social spaces to promote their health and well-being in the long term. Residências assistidas em Alcácer do Sal. Image © Aires Mateus Arquitectos. While not a new concept, aging in place has garnered significant public attention and commendation in recent years. While critics suggest ‘lifelong homes’ is a convenient policy to promote while cutting public spending budgets, there is also significant grassroots support. Furniture fixes and small interventions are the most cost-effective way of adapting a home as the occupants’ physical abilities deteriorate. In this report, the American Architectural Foundation suggest that enabling people to remain in their previous homes or original communities is the most favorable outcome according to their survey preferences. In the 2007 study ‘aging in Place in America’ commissioned by the Clarity and the EAR Foundation, elderly people fear moving away, losing their independence and exile from their communities, more than they fear death. While this may highlight certain misunderstandings of what alternative options there are available, the severity of this statement is nonetheless significant. Social Housing in Barking by Patel Taylor. Image © Peter Cook. The challenge of creating communities that allow people to age in place may also offer an opportunity to rethink suburban or low-density neighborhoods which have long been a challenge to both architects and urban planners. The American Association of Retired Persons (AARP) support the ‘lifelong homes’ concept—a dwelling that adapts to people’s needs and desires as they grow older. The London Mayor’s design advisory group have offered guidance to both architects and urbanists on how to create ‘Lifetime Neighborhoods’ in this recent report. Patel Taylor’s Courtyard Housing in Barking, London, aims to address some of the challenges of maintaining an affordable, mixed-generation neighborhood. The economic model of their housing development in Barking is based on that of traditional English almshouse, in which accommodation is provided by a charitable body for citizens who are unable to support themselves. The social housing project was designed to support independent living as residents grow older, but can be occupied by people and families of any age. “The scheme aims to provide council tenants with quality of life and pride in their homes”, say Patel Taylor. Loneliness and the rising cost of care are some of the most challenging aspects faced by both ‘Young-Old’ and ‘Old-Old’ age groups. Based on a traditional Japanese concept first trialed in Tokyo, some architects are experimenting with combining seniors with other demographic groups with free time but minimal disposable income to create skill-sharing communities. Examples include this nursing home in the Netherlands which is also a student dorm and the Mount’s Intergenerational Learning Center in Seattle. A main characteristic of the co-living approach is to form an independent but connected living arrangement to ensure sufficient degrees of privacy, while benefiting from shared social spaces. When applied to senior living, this approach aims to challenge the stigma of the ‘granny annex’ to create a multigenerational family home where two or more generations can co-exist peacefully. Lennar’s Next Gen Home is innovating in this market—their new build homes combine two separate houses together to form a ‘home within a home’, each area accessible from a separate entrance. In their promotional material, the ‘Next Gen Suite’ has been tested both with aging relatives and adult children with severe disabilities. For more on co-living stay tuned for next month’s feature. Lennar’s ‘Next Gen Home’ incorporates a separate apartment within the main footprint of the house. Image © Lennar. While at first glance it might seem slightly farfetched, increasing numbers of cruise liner companies are now offering live-in possibilities following a wave of media speculation that constant cruising was a more cost-effective prospect than a room in a traditional care home. Back in 2015, USA Today covered the story of 86-year-old Lee Wachtstetter, who took her daughter’s advice to sell her home after the death of her husband to go and live on the Crystal Serenity cruise liner. The Florida-based shipping company Residences at Sea were one of the first to provide an exclusive long-term rental offering and other enterprises such as Crystal are now following suit with customisable apartments, some as large as 4000 square feet. Cruise Retirement now allows retirees to buy their own cabins. This reflects a boom in the cruise industry overall—according to the The Cruise Lines International Association, over 25 million passengers are predicted to set sail in 2017, with over half of them in the 50-74 age range. However, it is unclear what data the cost predictions that cruise living is cheaper than other accommodation preferences is based on, as circumstances and prices vary dramatically for seniors across the globe. Difficulty in securing affordable insurance, few complimentary onboard meals and lack of access to specialist care onboard may well outweigh the senior discount. In addition, the logistics of living constantly on a cruise ship may be impractical at best—where would possessions be stored? What would the arrangements be while the ship is in port? How might this lifestyle be sustained year after year? Sun City Arizona retirement community. Image © Deane Simpson from Young-Old. Since the 2008 financial crash, the perception of the ‘Young-Old’ as a pleasure-seeking group that is benefiting from the welfare economy while leaving other groups disadvantaged has generated a great deal of anger. Yet, societal expectations of this age group are changing fast. While 30-40 years ago, the ‘Young-Old’ might expect to retire to warmer climes to enjoy an expanse of leisure time—whether moving from the Midwest to Florida, or from the UK to Spain, up to 60% of Americans over 60 now say they will look for a new job after retiring according to Careerbuilder.com, a US jobs website. Many people in this age group are also taking on additional childcare responsibilities, as their children often have a two working parent household which is now required to support a modest income. What makes an age-friendly city? How can architects and urban planners ensure communities possess a rich social life and cross-generational activities? How can segregation and social isolation be reduced? Throughout 2014 the Royal Institute of British Architects (RIBA) compiled a volume of knowledge from both industry and breakthrough research into an Alternative Age Friendly Handbook, which offers some helpful insights. In the US, the American Architectural Foundation cites a lack of diversity, lack of access to continuous and accessible walking routes, few intentional social spaces and restricted access to both healthcare and crisis assistance as key areas for improvement. While these features are aimed at older adults, it is necessary to recognize improvements in these areas are also of great benefit to everyone in the community. Architects need to go back to experimenting with housing in the way they did in the ‘60s and ‘70s. More experimental housing typologies should also be tested to respond to other demographic trends, such as the growing number of single households in western cities” Stephen Bates, Sergison Bates Architects. Huis Ten Bosch, Japan. Image © Deane Simpson from Young-Old. According to the American Architectural Foundation, senior housing has positioned itself at cutting edge of innovation in the housing sector due to a willingness to try the new with a hope that it will improve on what we remember of the old. “The ritual of aging is that of continual reinvention, not of tradition, and the senior housing industry is deeply vested in understanding and responding to evolving market desire,” they state. The emergence of AI in household care and the opportunities of digital mobility also present interesting opportunities for tailored elderly care suited to individual needs, therefore unlocking previously unimagined living arrangements. Might a domesticated model of care be delivered without a semi-hospitalized environment? How could healthy routines be designed into the building fabric of new developments using new technologies? In the US, the Living in Place Insitute provide additional assistance on the options for renovating an existing home to the needs of aging. To read more about the urban and architectural experiments which come out of these different urban environments, different typologies of retirement see Deane Simpson’s ‘Young-Old: Urban Utopias of an aging Society, published by Lars Muller. “When we ponder how the global world could be made habitable – a question especially important for architects and designers – we now mean habitable for billions of humans and trillions of other creatures that no longer form a nature or, of course, a society, but rather, to use my term, a possible collective… But why has the world been made uninhabitable in the first place? More precisely, why has it not been conceived as if the question of its habitability was the only question worth asking? I am more and more convinced that the answer lies in this extremely short formula: lack of space” (Latour, B. 2009. Spheres and Networks: Two Ways to Reinterpret Globalization, Harvard Design Magazine Spring/Summer, 30 pp. 138-144, ). “As is now well known, the notion of environment began to occupy public consciousness precisely when it was realized that no human action could count on an outside environment anymore: There is no reserve outside which the unwanted consequences of our collective actions could be allowed to linger and disappear from view. Literally there is no outside, no décharge where we could discharge the refuse of our activity” (Latour 2009 p.3). It is now widely accepted that cities are the primary source of this problem. With more than 50% of the world’s population being urbanised, cities must become resilient in the face of the uncertainties of climate, economy and politics. Various attempts have been made to quantify the resource imbalances of cities’ consumption and waste in the form of: ecological footprints , urban metabolism and urban political ecology . These quantifications are needed so that the extent of the problems become visible. Research may lead to solutions to limit ongoing damage to the environment and may also redress this imbalance by making cities more sustainable and resilient for the survival of all their occupants, human and non-human, both now and in the future. The smart cities and engineered solutions of architects and engineers fall far short of this goal in their version of “greenscaping” with aesthetically beautiful structures in verdant “nature” with scattered people looking on in wonder at their grand creations. 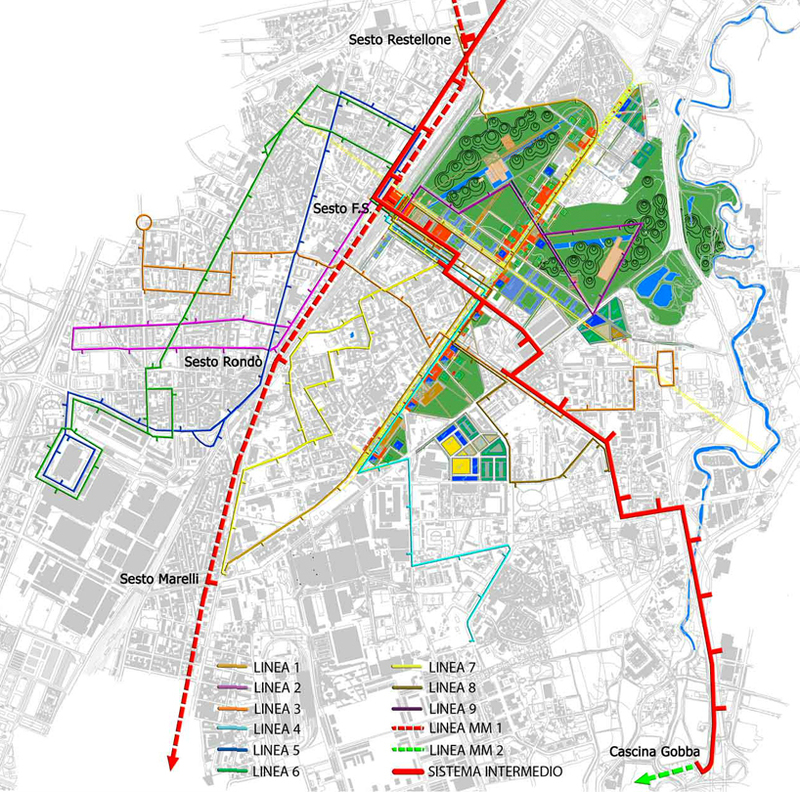 While I am sure that their intentions are laudable and their goal is to stimulate large scale public works to counter the past and present environmental and social crisis, it is unlikely that the results of their visions will improve anyone except a select fews lives into city. “All of these pieces don’t have to be in play for every mile of the highway all combined. It’s a little like a menu: you can pick and choose which pieces you use or you employ depending on what the different characteristics of the freeway are, and if it’s elevated or sunken down or at grade. I think that if you begin to take this and other ideas that could be added to the laundry list, and started to look at the highway network as a real positive and begin to retrofit pieces of it (especially when it goes through and affects different neighborhoods), I think it could be one of the largest transformative urban projects of any city, for any place on the planet. “It [the design of the public spaces] remains predominately an imaginary infused with middle class café culture expectations, replete with Lavazza cappuccinos and generous pedestrian orientated pavements. To be sure these are elements that greatly enhance the public realm but at the same time reinforce the dramatic bifurcation of public life for the rich and poor.” (Pieterse 2012 ). I believe that a political engagement is required to ignite a renewed interest in re-imaging the roles of the built environments’ participants, ecological environmentalists, social activists and those seeking a future for themselves and their offspring. It seems we should change from thinking about ourselves alone and think rather, for everyone as a whole, thereby supporting this process of change to more equitable and liveable settlements and cities. This applies especially to the “have-nots” who, if not catered for, will topple the entire structure with their neediness, frightening the “haves” with their greediness. “….such sensibility calls for a [landscape?] architectural agenda, design approach, urban aesthetic and built fabric that opens up opportunities for frank engagements across lines of difference and privilege in order to induce the necessary discomfort and untidiness that can lead to the thorny conversations about who we are, and how we represent ourselves in space and where we may be going as cities and distinctive cultures” (Pieterse 2012 p.87). The situation that ~Pieterse criticizes in the context of the South Africa is equally relevant to LA as was highlighted at the ILASA conference by landscape architect Astrid Sykes from Mia Lehrer Associates who are based in LA right next toto the river, in presenting their work of the last 20 years on the LA River and a 2007 study done by a large multidisciplinary team for the city of Los Angeles on the future of the river that MLA were part of. While very positive in achieving consultation and buy-in from residents and the Mayor, it seems that this has been subverted by the City now 8 years later in appointing Frank Gehry’s office to do a project on the future of the river that teemingly ignores the previous work and as yet shows no signs of the public participation and co-design the earlier project was tasked with. It remains to be seen if this is an extension earlier work or more “green sky” City Brand building that Gehry is famous for with his Bilboa Effect. “For the latest installment of Archinect’s live podcasting series, Next Up, we’re focusing on the L.A. River, and the wide swath of urbanist concerns within its ongoing master planning efforts. It could be the project that makes, or breaks, Los Angeles. With a complex historical legacy and an often-misunderstood ecology, the L.A. River’s 51-mile stretch is at once a huge urban opportunity, and to many, an even bigger eyesore. Thirty years ago, nonprofit Friends of the Los Angeles River was founded to protect and advocate for the river, and shortly after, the City of L.A. began looking at ways to take better advantage of the immense resource. Since then, many more communities and stakeholders have joined the conversation, raising concerns of ecology, sustainability, gentrification, public space, affordable housing, social equity—a wealth of complexities that testifies to what a lightning rod of urbanist discourse the River has become. 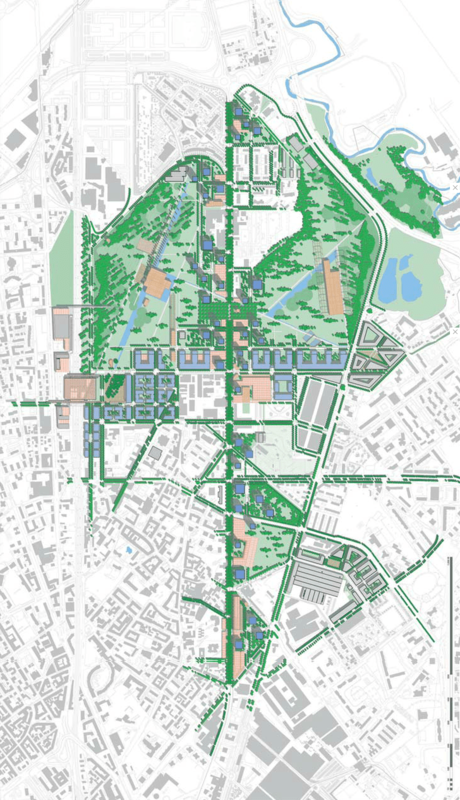 This engagement with the physical infrastructure, social dynamics and politics of the city might seem far from Landscape Architectures usual verdant concerns. To paraphrase the words of Brenner, Latour, Pieterse and Swyngedouw, “everything is political now” and if we wish our discipline to survive in this sea of change, we must become political and design and proselytize our own future place in this new cyborg or assemblage. Research is needed on how to create a transdisciplinary environment that can facilitate higher levels of engagement, participation and co-learning by politicians, publics, professionals and authorities alike, and is something that seems to be lacking in much of the current design process. From the examples quoted above, it seems that large scale infrastructure is the very place to focus this engagement and to get out of the office, away from the computer and to get involved in a river, freeway proposal or public space project near you now! With my apologies to Michael Maltzan Architecture, Frank Gehry and ARUP . 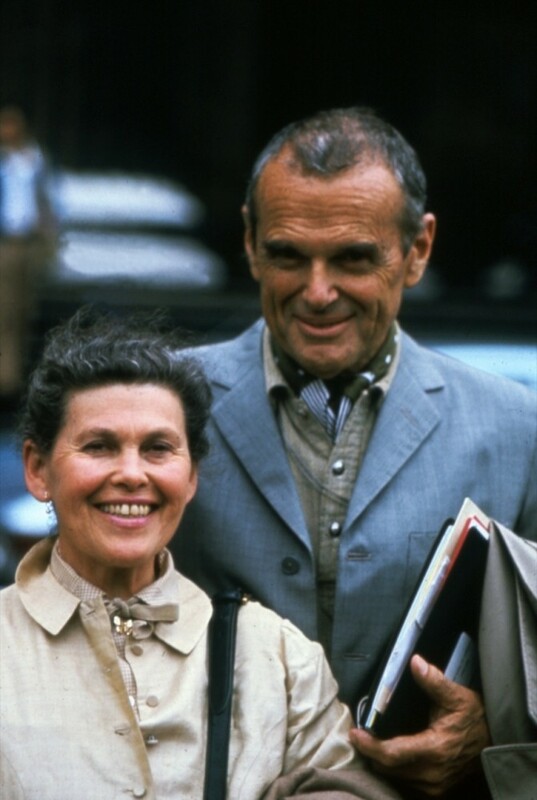 he forthcoming An Eames Anthology, edited by Daniel Ostroff and published by Yale University Press, chronicles the careers of Ray and Charles Eames in their pursuits as designers, architects, teachers, artists, filmmakers, and writers. As Ostroff attests, with over 130,000 documents archived in the Library of Congress, the Eameses were nothing if not prolific; this volume, accordingly, is not comprehensive so much as representative, curated to reflect the breadth of interests and accomplishments of the pair. willingness to do outside work and study on a problem . . . Primitive spear is not the work of an individual nor is a good tool or utensil. To be a good designer you must be a good engineer in every sense: curious, inquisitive. 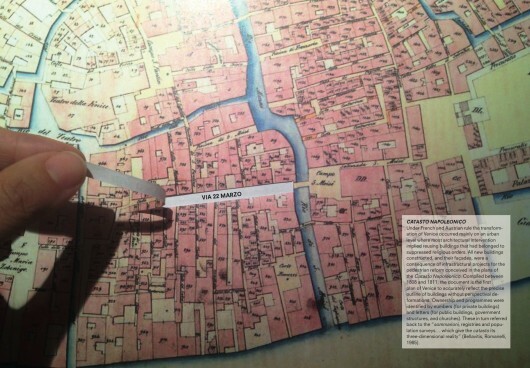 Elements of Venice – Actor Network Theory applied to historical urban design? Guilio Foscari’s book Element of Venice, while modelled on a process described a being similar to that of Rem Koolhaas’ at the Venice Biennial , appears to me to be, in the vein of Bruno Labours Actor Network Theory (ANT), an examination of the city’s history, in urban design and architecture in terms that show how the city we as tourists see and take of granted as being “real” a 16th century authentic historical city, is in fact an assemblage and pastiche, not much different to the shopping centres so popular in the post-modern era of the nineties such as Canal Walk in Cape Town’s Century City. I remember seeing how the famous Roman churches used faux marble paint effects above the dado rails and real marble below, where it could be touched, these are the standard “theming ” techniques of any restaurant or five star hotel establishments decorative chicanery , so denounced by the authentisicm of contemporary architecture. The following is an excerpt from Giulia Foscari’s Elements of Venice, a book that applies the dissection strategy Rem Koolhaas explored in “Elements of Architecture” at this year’s Venice Biennale. The book aims to demystify the notion that Venice has remained unchanged throughout its history and addresses contemporary issues along with strictly historical considerations. 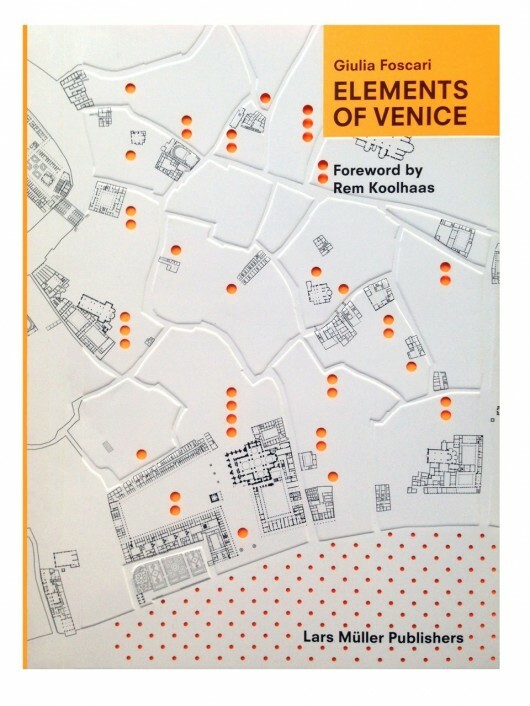 Read on for a preview of Elements of Venice, including Rem Koolhaas’ introduction to the book. 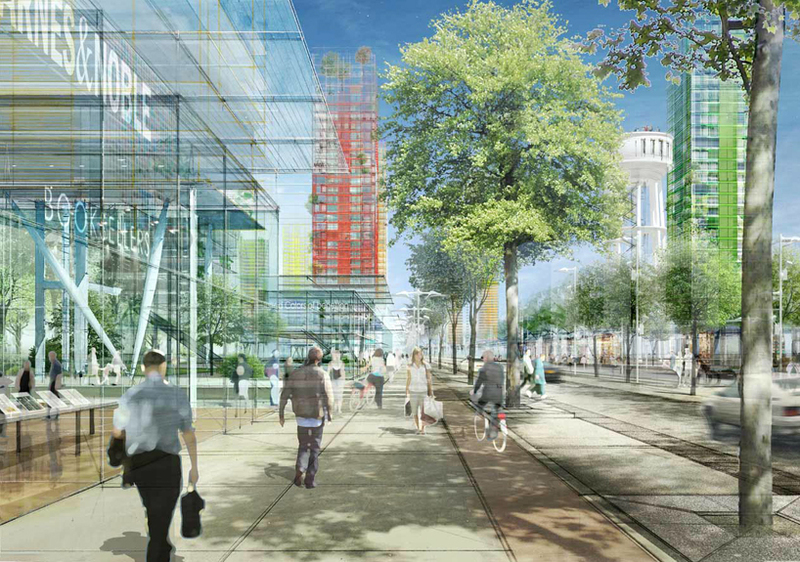 FROM THE FAÇADE CHAPTER: Pedestrian Reform. The new pedestrian streets cut into Venice’s ancient urban fabric (in which the old walkways connected the insulae without guaranteeing the same capillary reach of the current network) would have appeared with brutal evidence had the construction of new buildings along the sides of these streets not acted to “cauterise” the incisions made by the numerous demolitions. The pedestrian reform, put to motion in the early 19th century, was the result of a substantial shift in governance of the city. New power structures, such as banking and insurance, and new public institutions, such as the chamber of commerce and the postal service – alternatives to those of the mercantile oligarchic Republic of the Serenissima – called for the construction of new representational buildings. New buildings were thus erected facing onto new streets, which, in turn, marked the discovery of “traffic” as a powerful tool of urban control in the hands of a “ruling class interested at once in political and commercial power”. At the expense of a traditionally compact urban fabric, the new government created, with public money, “urban voids” that were to become catalysts for representative buildings,commercial thoroughfares and modern infrastructure (such as electrical wiring). Millions of tourists reaching San Marco from the Accademia or Rialto Bridge are thus deceived. 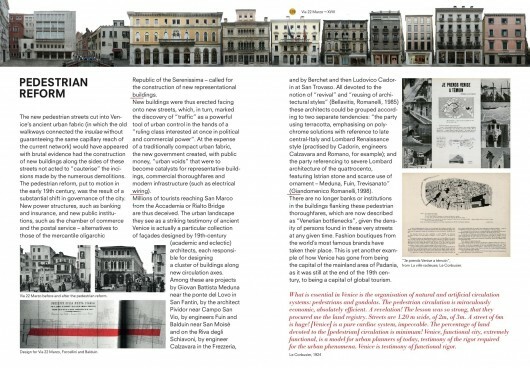 The urban landscape they see as a striking testimony of ancient Venice is actually a particular collection of façades designed by 19th-century (academic and eclectic) architects, each responsible for designing a cluster of buildings along new circulation axes. Among these are projects by Giovan Battista Meduna near the ponte del Lovo in San Fantin, by the architect Pividor near Campo San Vio, by engineers Fuin and Balduin near San Moisé and on the Riva degli Schiavoni, by engineer Calzavara in the Frezzeria, and by Berchet and then Ludovico Cadorin at San Trovaso. All devoted to the notion of “revival” and “reusing of architectural styles” (Bellavitis, Romanelli, 1985) these architects could be grouped according to two separate tendencies: “the party using terracotta, emphasising on polychrome solutions with reference to late central-Italy and Lombard Renaissance style (practised by Cadorin, engineers Calzavara and Romano, for example); and the party referencing to severe Lombard architecture of the quattrocento, featuring Istrian stone and scarce use of ornament – Meduna, Fuin, Trevisanato” (Giandomenico Romanelli,1998). There are no longer banks or institutions in the buildings flanking these pedestrian thoroughfares, which are now described as “Venetian bottlenecks”, given the density of persons found in these very streets at any given time. Fashion boutiques from the world’s most famous brands have taken their place. This is yet another example of how Venice has gone from being the capital of the mainland area of Padania, as it was still at the end of the 19th century, to being a capital of global tourism. Our contemporary world, in which forms quickly dissolve into one other, is thirsty for icons. Each tourist – the common denominator of a mass phenomenon – is hunting for images, travelling the world without letting go of his camera, his smartphone, his iPad. Icons are not histories or phenomena. Thus a tourist does not know, is not interested in knowing, the history behind the city’s pedestrian reform, or distinguishing an ancient building from a 19th-century construction. He does not wonder whether tourism helps or harms the city. He is searching for images. One such icon could easily be the Doge’s Palace, or St Mark’s bell tower, or the Rialto Bridge. Even lesser things suffice: gondolas, winged lions, pigeons walking, horses held high in the air. Even masks. By propagating her symbols, Venice has reached the entire world and has become a commoditised image. Enterprising managers – perhaps better than intellectuals – have understood and seized the (conceptual) reality of this contamination, reproducing Venetian icons on a vast scale, as if they were masks of their own identity, to use on their casinos and on customers visiting shopping centres, the special fascination created by the allure of entering an imaginary world (a “fantastic mutation of normal reality”, as Thomas Mann would write in Death in Venice) and leaving – if for a while – the at times oppressive contingency of reality. Combining two obsessions: music and archi-culture David Byrne sits in the middle as a self appointed commentator on our lives and lifetimes, we have heard of our paranoia ash our obsessive lives since the seventies with Talking Heads, I remember “Life during Wartime”as especially poignant and his collaborations with Brain Eno, “My Life in the Bush of Ghosts” spoke mysteriously of a strange in-between world and predated the mix-uped shift to Remix. 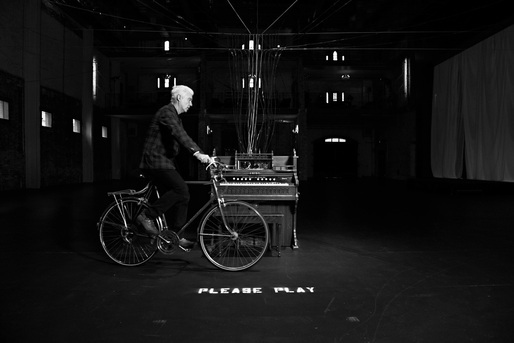 In his Bicycle Diaries he explored a first person view of urbanism and in How Music Really Works gave us an insiders view of music and the music industry now in Archinect Julia Ingalls sets forth..
“It’s a multi-purpose shape – a box.” Byrne as “The Deadpan Docent” in “True Stories”. Unlike those architects who long to be thought of as artists, Byrne is an artist who loves to thinks about architecture. Like the deadpan docent of the infrastructural realm, David Byrne’s work has inadvertently helped make architecture into a pop culture staple. While his commentary may not be mind-blowing to an architect, the method of his commentary – the diversity and size of his audience, the innovative visual and aural techniques in which he conveys highly abstract concepts – is a major contribution to architectural discourse. Very few popular songwriters have as many instantly hummable, building-oriented tunes in their catalogues as David Byrne. It’s way beyond “Burning Down the House”; take a closer look at the entirety of Byrne’s 38-year output, working with Talking Heads, Brian Eno or any of a dozen other musical collaborators. Instead of writing love songs that focus on interpersonal rapture, Byrne tends to frame his romanticism in potentially isolating structures: dry ice factories, wartime brownstones, shotgun shacks. Byrne’s lyricism is usually never content to celebrate love between people; it’s a celebration of love between people and structures. Notably, the way structures and spaces influence relationships isn’t a tract in an out-of-print textbook but a danceable groove. David with bike and organ at Aria, Minneapolis, MN 2012. 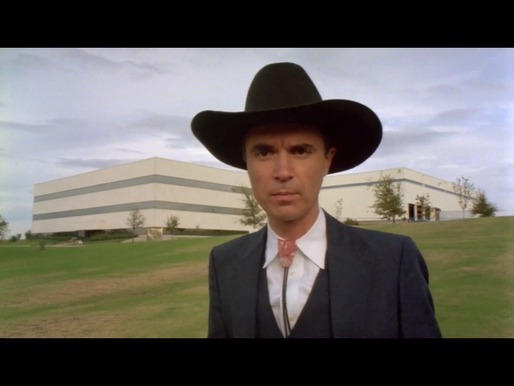 Image via davidbyrne.com. the north-south axis (dubbed the ‘rambla’) will contain commercial and residential program and will add approximately 1270 new housing units. ranging between 40 and 90 meters tall, elevated on columns above the ground with hanging green gardens clad in terracotta-colored tiles. to existing public transport services and the ‘elf’ – alternative energy vehicles – will be introduced as a new means of low-capacity mobility. From Dezeen – South Africa brought into focus with Oscar Pistorius’s newsworthiness bringing media eyes to focus for a moment on this negative aspect of South African urban life – but it is not here alone that this in their “Splintering Urbanism” Stephen Graham and Simon Marvin list this as one of the many symptoms of depressing global malaise. I have added on of the comments here – in response to what the writer saw as the one sided view expressed in this piece. Opinion: in his latest column, Dezeen editor-in-chief Marcus Fairs discusses why gated communities are “becoming the default setting in towns and cities around the world” and asks whether it matters who owns the land beneath our feet. From the air, it’s easier to spot wealth than poverty. Climbing out of Cape Town International Airport the informal settlements soon become a blur but the private developments remain in crisp focus, their pristine loops of asphalt standing out like Nazca lines, the bulk of their road-straddling gatehouses unmissable and their clustered tricolours of lawn, pool and villa conspicuous against the dun landscape. Later, descending into Johannesburg in darkness, the city lights reveal the same pattern: random, dull and fuzzy in the shack districts but bright and purposeful in the secure enclaves. The British euphemistically call these developments “gated communities” but South African developers use the more straightforward “security estate”. In one such as these, near Pretoria to the north, Oscar Pistorius felt safe enough behind high walls, razor wire, attack dogs and armed guards to sleep with the patio doors open (albeit with a gun under his bed and a cricket bat behind the bathroom door). 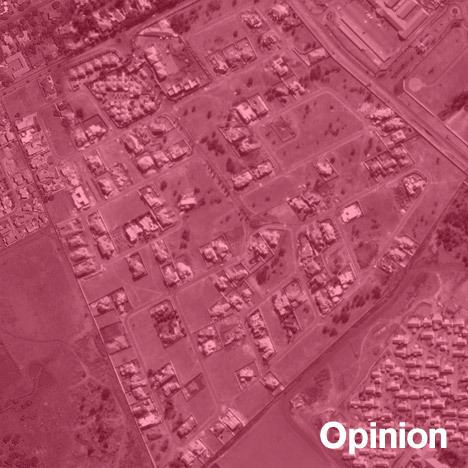 Pistorius lived on the Silver Woods Country Estate (shown in the aerial image above) – a “pres­ti­gious secu­rity estate” of 290 homes and still-vacant building plots set amid similar districts with names like Willow Acres and Faerie Glen. 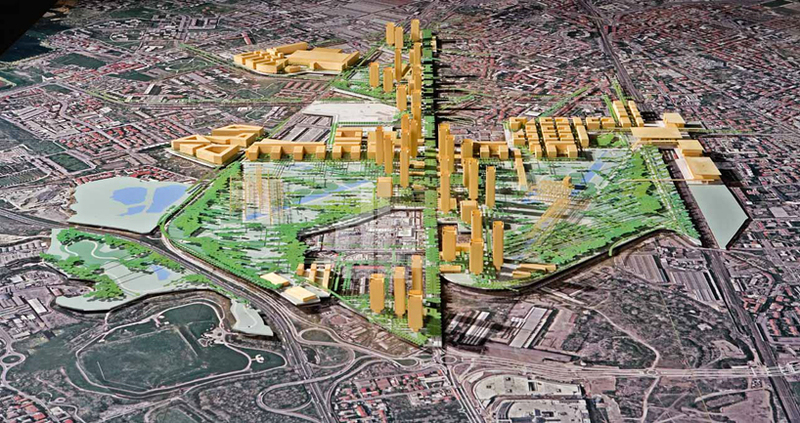 This still-growing Securicor suburb will eventually house 25,000 people. The sleeping and bathing quarters at Casa Pistorius are now among the most familiar interior layouts of all time thanks to numerous media reconstructions of the night he shot and killed his girlfriend Reeva Steenkamp. Yet the urban design of Silver Woods has hardly been discussed, even though its paranoia-driven features might provide the only mitigating circumstances in Pistorius’ favour: people who live in these places clearly fear for their lives. Like most security estates, Silver Woods has a single point of entry and departure: a covered, manned and barriered gateway, bristling with CCTV and biometric scanners and resembling a sub-tropical Checkpoint Charlie. It is connected to the public domain but not of it. The estate is “enclosed with a solid, elec­tri­fied secu­rity wall” and is planned “in such a way that it has the feel of a vil­lage.” All build­ing work is sub­ject to “a strict archi­tec­tural and aes­thet­ics spec­i­fi­ca­tion”. Yet this is a village with no facilities on offer beyond raw security: no stores, playgrounds, bars or cafes. Residents have to journey by car for all their daily needs, or get them delivered. Hinting perhaps at the fearful priorities of its residents, the estate’s website boasts of its proximity to hospitals and medical clinics first of all, before listing the distance to local schools and shops. The location of the nearest police station is not regarded as a benefit worth mentioning. But they are becoming the default setting in towns and cities around the world – and not only for the wealthy. In the USA, the number of homes in developments secured by walls or fences grew 53 percent between 2001 and 2009 and now account for ten percent of all occupied homes. Easy to talk from london. One in three South African women has been raped. It is not paranoia; it is a fact. I don´t particularly like those neighbourhoods, but I live in a place where, unlike South Africa, one can walk in the streets safely. Don´t make an academic discussion out of a more serious matter. By the way, it is in bad taste talking like that of the Pistorius case.